What Fringe Benefits for Executives Are Deductible? Employee benefits (fringe benefits) are often deductible to employers and they are sometimes taxable to employees. Companies are very creative in finding ways to compensate executives and high paid employees with a variety of these "fringe" benefits. This article provides a listing of common non-cash fringe benefits for executives and IRS rulings on the ability of the company to deduct them as business expenses, as well as whether they are taxable to employees. The IRS says that any benefit or payment provided to executives that are not provided to other employees may be subject to taxation to the employee. Whether the benefit is or can be deductible to the employer as a business expense. In order to be deductible, you must be able to demonstrate to the IRS that the expense was "ordinary and necessary" to the business. Whether the benefit is taxable as compensation (remuneration) to the employee. If a benefit is taxable to the employee, the value is the amount the employee would have to pay for this benefit in an arm's length transaction. 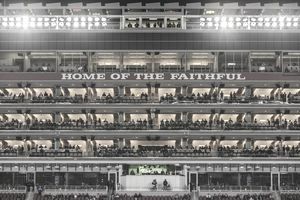 If a company purchases or leases a skybox or luxury box at a sporting venue, the company can deduct no more than the price of the same number of regular seats at that venue. Other associated expenses (catering, for example), must be "ordinary and necessary" to the business to be deductible as entertainment expenses. A box purchased or leased for the benefit of a specific executive may be taxable income. Awards or bonuses are considered compensation. Be careful about providing non-cash payments "on behalf of" executives. If these payments appear to be personal they are not deductible to the company and they are taxable to the executive. Club memberships or club dues of all kinds are not deductible unless they have a specific business purpose (a trade group, for example). This includes social, athletic, sporting, luncheon, airline, and hotel clubs. The purpose of the club ("business-related") not the name is controlling. If the cost is deductible, it is taxable income to the executive. Many companies allow employees to use credit cards to buy items for the company. Some companies issue credit cards to executives and pay the bills without requiring the executive to show business purpose. Personal expenses paid through these credit cards to executives are considered taxable fringe benefits and they cannot be deducted as business expenses. Meals furnished on employer premises and for the convenience of the employer may be excluded from the income of the executive if the cost meets the "de minimis fringe" test to be excluded from employee income. The IRS will assume that a loan to an executive is really compensation unless it can be shown that the loan is bona fide. Factors showing a loan is bona fide are (1) the existence of a promissory note, (2) cash payments on a specified schedule, (3) interest charges, and (4) security. The loan should be listed as a receivable on the company books, and the interest rate should be at market rate. Personal loans to officers and directors of public companies are banned by the Sarbanes-Oxley Act of 2002. Discounts on property or services provided to customers must be provided to all employees on a non-discriminatory basis. The IRS does not allow company discounts for directors and independent contractors. It is not clear from this IRS article whether these discounts are taxable to employees or if the value of these discounts is a deductible business expense to employers. The value of spouse or dependent life insurance must be included in the income of the executive. Since there is no business purpose for this benefit, it is probably not deductible to the company. If an employer provides a car or other vehicle for an executive's use, the amount may be excluded from income up to the amount that would be allowable as a deductible business expense if the executive paid for its use. The executive's personal use of the vehicle is taxable. Parking and transit passes are not taxable to the employee if specific monthly limits are not exceeded. Check with your tax adviser. Listed property like laptop computers and cell phones. If you provide a laptop for an executive, keep detailed records to establish the business use of computers that can be taken home or are kept at home by the executives. There are no recordkeeping exceptions like "no personal use" available for computers. Cell phones and car phones provided for executives may also be excluded from an executive's income if detailed records are kept showing documentation of business usage for purchase and operation. Relocation expenses paid by employers are usually considered taxable income to employees. Only the costs of moving personal belongings and traveling to the new location are deductible. Costs such as meals and lodging in temporary quarters are not deductible. In addition, other costs paid by the employer, such as brokerage fees, property taxes, insurance, fix-up expenses, and reimbursement for losses with respect to the sale of the prior home are included in gross income of the employee. If you pay for a vacation for an executive (hotels, airfare, and other expenses), the value of the vacation is considered personal must be included in the executive's gross income. The value is also not deductible to the employer as a business expense. Payments for a spouse, dependent, or other individuals to travel with an executive are not deductible business expenses unless (a) the individual is an employee, (b) the travel of the individual is for bona fide business purposes, and (c) the expenses would otherwise be deductible by the individual. To justify these exceptions, keep good records on the purpose of the trip and the amount of time spent by this individual on business purposes. Financial planning or wealth management services provided to executives are considered a taxable fringe benefit. It is doubtful that they would qualify as deductible business expenses. If you have a qualified retirement plan, you may provide employees with retirement planning services; these services are not considered as income for the employees. Your company may not discriminate in favor of highly compensated executives in providing these services.